This latest book in the popular For Today series introduces the reader to the main parables of Jesus in an engaging and accessible way. Professor, author, and preacher Alyce McKenzie makes the familiar parables come alive with new meaning, using the best of biblical scholarship to provide an easy entrance to this major form of Jesus’ teachings. 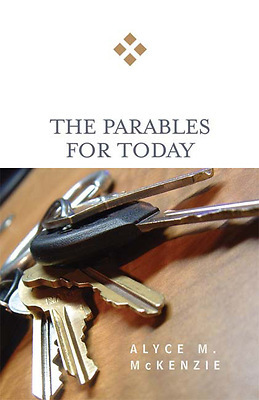 McKenzie covers the purpose, properties, and proclaimers of Jesus’ parables before focusing on several of the key parables that form much of the text of the first three Gospels. With questions for discussion at the end of each chapter, this book is ideal for personal and group study. Alyce M. McKenzie is Associate Professor of Homiletics at Perkins School of Theology of Southern Methodist University. She is the author of a number of books, including Preaching Proverbs: Wisdom for the Pulpit and Matthew (Interpretation Bible Studies), both available from Westminster John Knox Press.